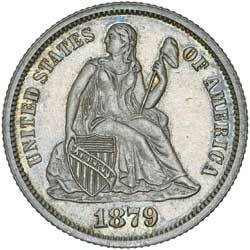 USA, PROOF LIBERTY SEATED DIME, 1879, variety 4 resumed. Gold and grey toned, nearly FDC. 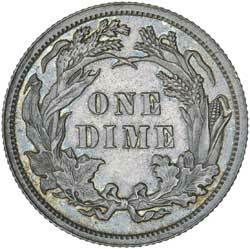 USA, CAPPED BUST QUARTER DOLLAR, 1818. Evenly worn, toned, fine.